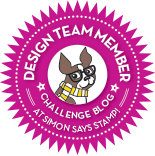 Happy Wednesday crafty friends that means it's time for a new Simon Says Stamp Wednesday Challenge! 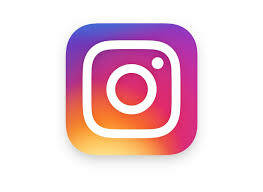 This week Simon Says: Anything Goes! The design team is featuring Hero Arts products, it isn't a requirement to use them but if you have them we would love to see them! 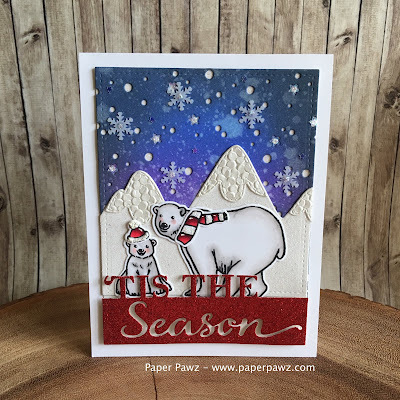 I decided on the fantastic Polar Greetings set by Hero Arts for my card. I just love these bears and there isn't much coloring involved just some simple shading with my Copic "C" or Cool Grey set. I also used the red Copics for their accessories (listed and linked below). I then die cut my bears and their accessories. I cut a piece of Bristol cardstock and ink blended my sky with Black Soot, Blueprint Sketch, and Wilted Violet Distress Oxide then used my Distress Sprayer to add some texture. I backed the night sky with some Simon Says Stamp White Glitter paper and I also die cut my mountains (Mama Elephant) with the same glitter paper and the snow caps are Tonic specialty paper. 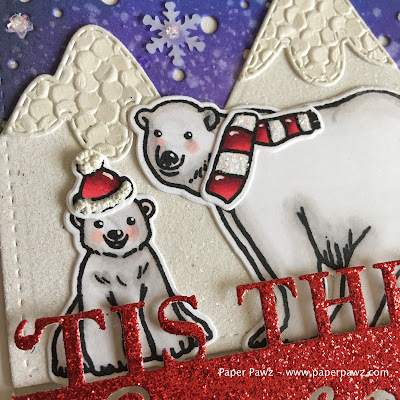 I put all of my elements together on the card base and die cut the new Hero Arts Fancy Dies Cut Out Season die with Tonic red glitter paper. 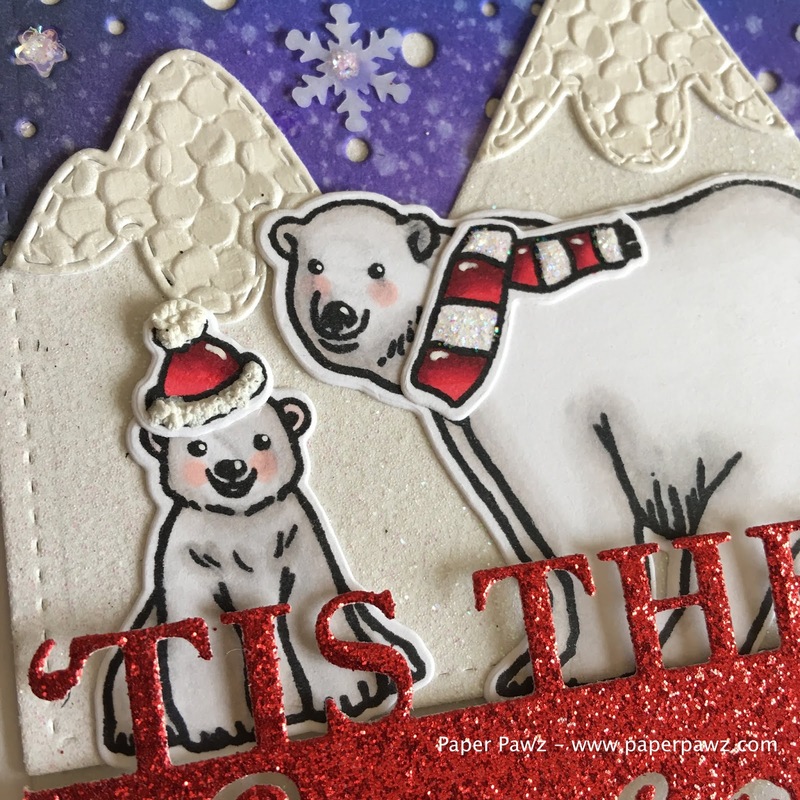 To finish off the card I added some of my snow marker and used my heat tool to puff it up and a mix of the new Hero Arts Berry and Icicle sequin mixes. Darling design, Kim! I love all the glitz and texture! A Blog Named Hero - Christmas Hogs! Hello Fall with Hello Bluebird! Simon Says: Bling it On! 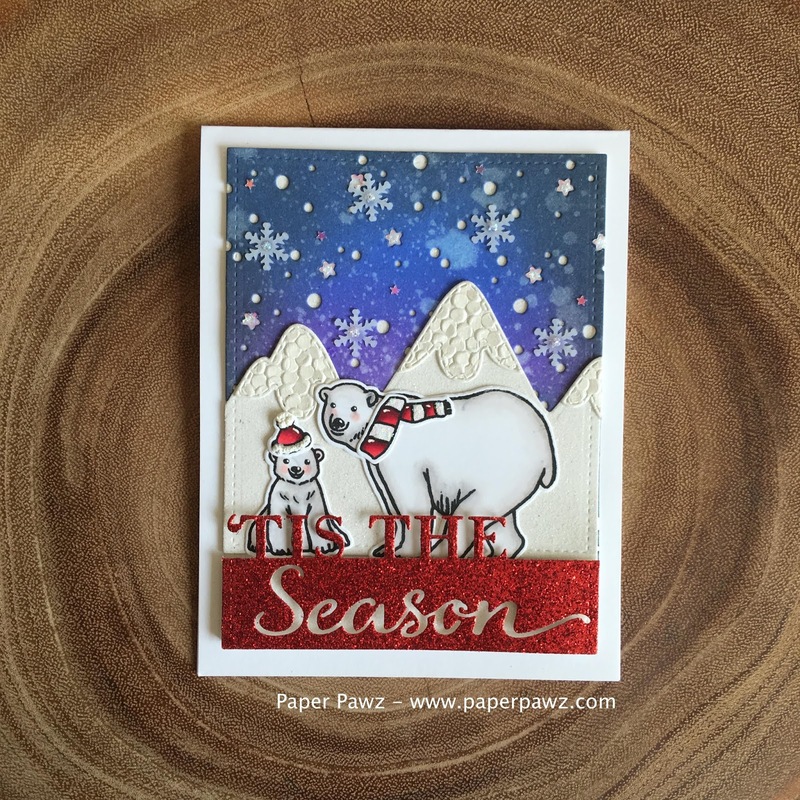 Simon Says Stamp: Stamp It!